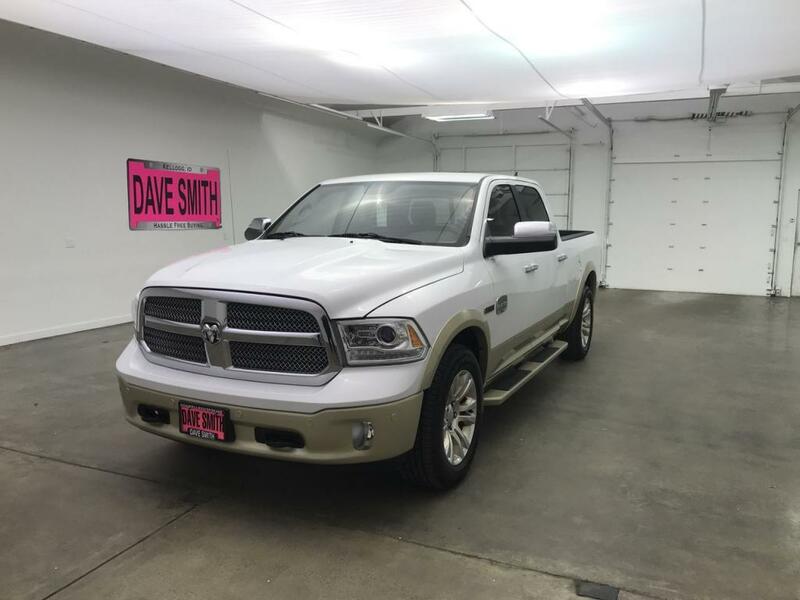 Luxury and power abound in our 2015 RAM 1500 Laramie Longhorn Crew Cab 4X4 presented in striking Bright White Clear Coat. It is powered by a 3.0 Liter 6 Cylinder Diesel that cranks out 240hp and massive torque while paired with a TorqueFlite 8 Speed Automatic transmission. 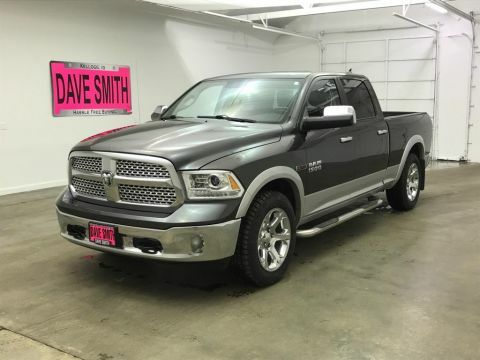 This efficient team rewards you with near 22mpg on the open road, a smooth ride, and tremendous towing capacity! You'll make a powerful first impression that is highlighted by a distinct grille and prominent wheels that enhance the aerodynamics of this strong machine. 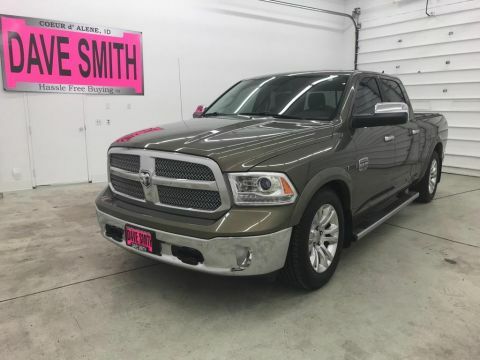 Inside our Laramie Longhorn, you'll find a prominent central touchscreen display with a rearview camera, UConnect with voice control, and a power outlet to keep you charged. Enjoy traveling in comfort and style with power-adjustable leather seats, memorized driver settings, and a premium sound system. Anyone who sees it will admire the upscale interior that has been thoughtfully designed to meet your needs. Safety is priority number one with RAM and with stability control, hill start assist, trailer sway control, front-seat side airbags and full-length side curtain airbags you can rest easy knowing you'll be safeguarded. 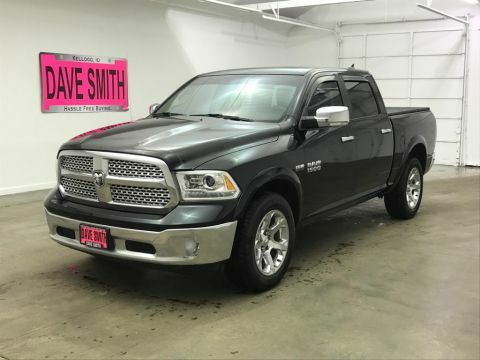 Now is the time to make this RAM your partner for work and play. Print this page and call us Now... We Know You Will Enjoy Your Test Drive Towards Ownership! Exterior: Turn Signal Mirrors, Tube Steps, Heated Mirrors, Tow, Spray Liner, Tint - **Vehicle Options listed are when the unit was originally built. Please confirm the accuracy of the included equipment by calling the dealer prior to purchase.